I love this quote about meditation for children from the Dalai Lama. In meditation we are invited to look at ourselves and how we interact with the world around us. This brings forth awareness. Awareness is the beginning of change. And what we each want, underneath it all, is love. That is all. Over the last 25 years of teaching meditation I have met parents and teachers that had great ideas in teaching their children meditation or develop the many abilities that are necessary to succeed meditation. I want to share them with you. Maybe they inspire you too! The best and most powerful thing you can do for yourself and for your children is to meditate yourself. Children copy what you do, even they might think it is strange at first. Meditate, let them know when you meditate and what you need from them to be supported. Maybe you want them to be quiet at that time or play in their rooms if they like with their doors closed. This is a powerful lesson for them; to not disturb you and time where they need to entertain themselves. When I was living with little ones I asked them to help me create a "Please be quiet" hanger for my door. They loved it. When I would come home they would come running to me asking: "When will I meditate again?" because they wanted to be there to start me off to turn around the door hanger. You could also do something at the end of your meditations that is fun and include them in someway. This way they look forward to you meditating. Preparing for sleep meditation: Everyone can do this daily! 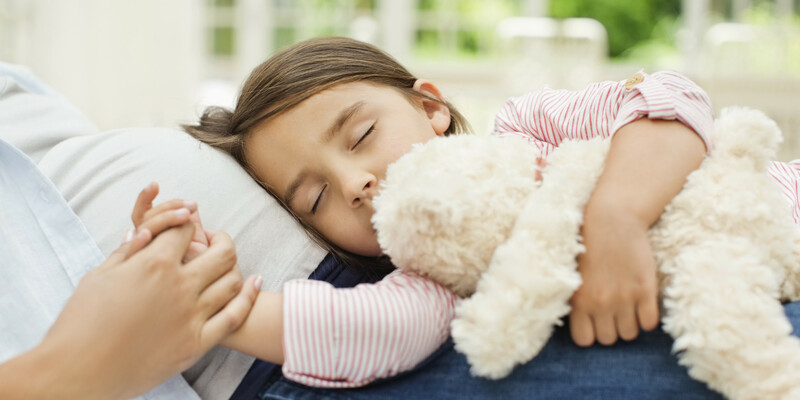 Supporting your child to prepare themselves to go to sleep can make a huge difference in the restful and conscious sleep the child will have. This single activity should not be underestimated! TEACHING: Teach your child that they are able to let go of all the things of the day and that there is another place of love and peace that they can now go to - to rest in. The restfulness and quality of sleep is directly related to the consciousness your child falls asleep in. Take some time with your child to check in and talk; How was there day? Anything that disturbs them from the day? How was school? Visit to grandma? etc. Be listening with all of your attention. 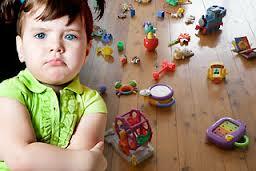 No need to fix anything and no judgments...just let your child unwind her/him self. When the child is winding down you can ask them to put their hand on their heart. Ask them to close their eyes and ask what are 2 things from the day that they are grateful for. Then with the focus on gratitude they can lay themselves down and fall asleep. You could also help them to verbalize a prayer. Maybe send some prayers to people that need some extra help and love. You want to help your child to focus on the love, light and truth in their heart. Gratitude is a powerful feeling that gets us there quickly. Prayer is an awesome tool that communicates from this place in the heart. Then help them to go to sleep with these thoughts and feelings as being the last ones in their heart and mind. This meditation for children is on my list A MUST! If you do not have time for anything else...dedicate yourself to do this with your child every evening. In Sleep Meditation you can read more on the benefits of falling asleep in a conscious state. WHEN: This is great when a child feels angry and upset. TEACHING: There is nothing wrong with the feelings of anger, hatred and upset. Learn to move them in a positive way and to open up. PROPS: Each child needs a pillow or towel. Ask the children: "What are you upset about? Who upset you? What happened? How are you feeling? Listen ...only listen...do not give any answers or try to sooth them. Have no judgements. Make them feel completely excepted with their feelings and that there is no wrong in feeling them. Actually it is something good. It has them have passion, passion for the truth. Then give them all a pillow. Let them imagine they put the thing that they are angry about in their hands. Then carefully have them put it one their pillow. And now on the count of 3 they all get that feeling out. They can hit the thing on the pillow, scream in their towel, wring their towel...encourage them to move it all in just one minute! And there is 1 rule: No hurting yourself or others! Hit the thing till it is gone. Then have them sit and close their eyes. Have them take a deep breath. What they do want to do now or say? TIP! A great meditation for children to be done by Dad! EXPERIENCE: It is amazing how real this is for children. Children also have the ability to let go really fast. So if they are done in 10 seconds, well done. It is also wonderful to hear what comes out of their mouths when they are quiet. Many children want to apologize to someone and it is wonderful to hear the truth spoken so clearly and simply. Kids love singing and dancing and it is a wonderful to sing with them the ancient mantra's and love songs to God. There is a way that you can use singing and dancing as a meditation for children. WHEN: Chanting improves the child's ability to focus and concentrate and has powerful effects on the brain development. Dancing is a great way to move energy, to shake off illusions and healthy for the body. TEACHING: You can chant - sing - dance any time anywhere and it has powerful effects on children's mood, ability to focus and concentrate. There are many you-tube videos and you can watch some chants. Find the chant - mantra that you like most. Best is to start of with an easy one. You can give each child an instrument. It could be a drum, a cymbel or it could a pot with a spoon, a piece of wood....anything really. Encourage them to beat in the rhythm of the chant. You can even make up your own chants and sing them with hearts content. In Mantra and Chants you learn more about meditation mantra's and chants. It is also very simple, to just put some music on and start dancing with them. This is particular good for the mornings or the first thing when they come back from school. This is a meditation for children that is so much fun to do and involve the whole family! Practicing silence is good for everyone! If you think it is not possible for children to be quiet, it is not true. It is all a matter of how you explain it to them and yourself being a sincere part of it. It might be challenging at first to get this routine in but once it is in your children will look forward to this part as it nurtures them and gives then a much needed break. A perfect meditation for children. Schedule a time daily, weekly for quiet time. Find a way to make it regularly. Maybe it is on Sundays. Maybe it is mornings before you get up. Maybe it is evening, half an hour before sleep. Important is that it is a regular so it becomes a habit and the child knows when it is happening. Be playful with it, make it fun. You can make it a game: "Who can be most quietest?" When it is time for the quiet, set the children up with what they want to do during the quiet part. They can also help prepare by turning a sign you made for the house..."Quiet time" or put an alarm on or buy a sand clock and turn it so the children can go there and look how much sand is left in the sand clock. They can help put all the phones quiet. Then when the quiet time is over, break the quiet with a sweet song you play or sing. A nurtering song of love, healing and gratitude perhaps. Or have a favorite snack together. The ability to focus and concentrate are priceless abilities for your child to possess. There are many different exercises you can do with your child that will help develop this ability. When your child wants to pick up meditation in the future, having this ability developed will have child take to meditation as a fish to water. What a gift. WHEN: All children can benefit from sharpening and developing this ability. How you do it is very unique to your child's interests and strengths. TEACHING: The ability to focus and concentrate is innate; meaning we all received this at birth. Not all of have a natural instinct to use it and it needs developing. Any child can develop this! There are many games that help with developing our ability to focus like card games, memory, math quiz's or a puzzle. When a child has difficulty focusing naturally to start to "hate" the game, or want to stop half way. Find a way to playfully get your child back in the game and 'preach' to them that it is all a matter of focus and that they can do it too! Tell them you have all faith in their ability to focus. Maybe you need to play the game alone with the child, take out the rivalry aspect and let him win. Help the child to understand that the reason he won was not just luck...it was because he used his ability to focus. And it is a great meditation for children. Another game I love to play with children is: " I see, I see what you don't see and the color is ...RED!" I have identified an object in the room and gave the hint to the children of the color of it. Now they have to guess the object. This is a great exercise to help children with their ability to focus and increase their awareness of what is around them, till the tiny details perhaps. Children love this game and mostly do not want to stop. It my old time favorite. There are a few yoga positions that are great to do with your children. WHEN: Children are tired or have difficulty to focus or think. TEACHING: Learning to stay present with your body, your breath and gain control over body movements. The sun salutations help specifically to open the energy channels of the body and help bring the blood to the brain. There are many you-tube videos you can check and learn how to do the sun salutations. The you can teach them to your children. Have it be fun and check your breathing. Even doing this 2 minutes a day is a start and soon you will be able to gain a minute more each time. The improvements your child can make through these positions is truly amazing. You can do it as a ritual, many in the morning when they wake up. A perfect meditation for children.